An evidence-based program, Progressions uses music to connect with students, challenge them with a rigorous music education, help them build a pro-social community, and stay with them until they graduate from high school. The program’s mission is to help keep participants in school, out of gangs, and on the road to becoming better students and contributing citizens. This year alone, we will reach almost 1,000 students. Today, Progressions offers music education, homework support, life and social-emotional skills, nutrition, and recreational programming to Franklin-McKinley School District students grades 2-8 at five school sites (Santee Elementary, Jeanne R. Meadows Elementary, Robert F. Kennedy Elementary, Stonegate Elementary and Bridges Academy). Our year-round programming is staffed by committed, caring adults who prepare students to succeed in school, career and life. 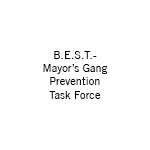 Progressions is the only youth music program funded by the Mayor’s Gang Prevention Task Force (SJZ evaluation report here). The Progressions model borrows best practices from the fields of youth development and music education to offer a sequential, developmentally appropriate, asset-based, and inclusive program that fosters academic, behavioral, and social skills and prepares students to succeed in school, career and life. Progressions offers general music instruction that incorporates ideas from many cultures, and places singing at the center of musical development. The method (Kodály) is known for its sequential development of skills, emphasis on music literacy, and strong choral programs. In the spring of third grade, students learn recorder in preparation for beginning band instruction starting in fourth grade. *The Kennedy program currently includes instrument class only. This college preparatory track helps students hone their musicianship skills, improve academic performance AND meet the demands of other after-school and weekend enrichment programs. The group will participate in music competitions and honor bands throughout the region. Students will be positioned to compete for merit-based university scholarships and financial aid. Students learn the fundamentals of music through singing, movement, and activities in our 30-minute General Music class. The program is designed to engage students at an early age so they can continue their music education with a wind instrument in the after school band program by 4th grade. The curriculum is based on the Kodály Method with an emphasis on singing, rhythm, and building basic musicianship skills. Students are also engaged in cross-curricular music activities that support and augment State of California learning outcomes for the 2nd and 3rd grades. All students have dedicated time to complete homework under the guidance of a caring adult. In addition, a youth development curriculum is being designed to help students make conscious connections between music education, life skills and the 41 Developmental Assets. It is offered in the form of weekly mentor time or “Familias”. Thanks to a District-level partnership, Progressions students receive a hot meal every day the program is session. This provides nutrition to keep kids energized throughout the daily three-hour program. Designed as a central feature of Progressions, the Nucleo is an opportunity for students from multiple sites to come together to form a concert band and later a jazz band. It is also a neighborhood hub where families are encouraged to come together to share music and build a stronger sense of community. 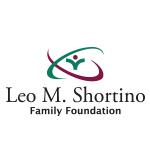 It’s a place where families come in contact with other resources that positively impact their lives. Students and families celebrate with a celebratory concert and community potluck at the end of each semester. The entire community is encouraged to attend to show their support of the youth. Click here to view photos and videos from past celebrations. Students regularly perform at school events; this offers positive recognition from their school community, boosts self-esteem, and encourages goal setting. Students receive validation outside their own neighborhood from new audiences by performing at events like the Mayor’s Annual Crime and Gang Prevention Summit, International Jazz Day, the Cinequest Film Festival and more. Through field trips to colleges like UC Berkeley and San Jose State University, students are exposed to new environments. Being in this environment encourages them to set educational goals and begin to envision a prosocial identity beyond their own neighborhood. Parents are strongly encouraged to engage in their child’s learning by supporting their daily practice routine, volunteering at events, providing food for activities, providing transportation to field trips and performances, and providing candid feedback about the program format. These students are identified through beginning of year assessments and principal/teacher referrals. This process enables Progressions staff to offer additional supports as needed to ensure that struggling students do not fall between the cracks. 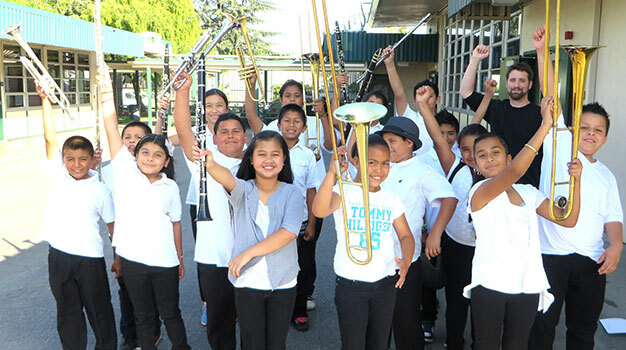 San Jose Jazz Progressions Summer Music Camp is a two-week camp experience that includes daily instruction in instrument/music theory, group ensemble, academic enrichment, and community-building through music, as well as lunch and snack. 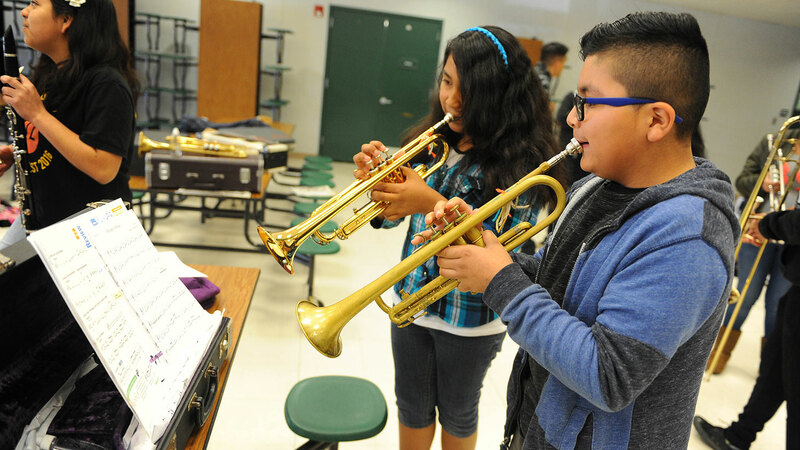 Instruction is focused on music technique, the ensemble experience and academic enrichment, all of which are designed to provide a firm foundation for students to move seamlessly into an accelerated musical sequence during the school year. Marcos Zambrano is a conductor, composer and violinist from El Sistema, Venezuela. He became involved with this program at age 7, and after 15 years of training inside El Sistema Orchestras, he was hired as music educator for several Núcleos (Teaching-training music centers) and appointed as conductor of Orquesta Típica Merideña, Coro de Belén and other Venezuelan music ensembles. In parallel with El Sistema, he attended the Music Institute of Caracas (IUDEM), Laudelino Mejias School and the Latin-American Violin Academy. Also, he went to Spain to study at Berklee College of Music, in L’Aula School. Marcos earned a Bachelor and Master degree in Acoustics Physics and Mechanical Acoustics Engineering, at The University of The Andes. As a hobby, Marcos writes midi-music for Films and TV. Thomas Langan is an American born musician and composer. He most often uses the mediums of wood, metal, and electromagnetic energy to create the temporal and vibrational sculptures colloquially known as music. He would like you to know that the existence of music disproves Hobbes’ philosophy that life is “solitary, poor, nasty, brutish, and short.” In addition to his work with the Progressions program, he teaches at San Jose State University. Mr. Langan can also be found practicing his art with a number of different collaborators around the bay area. Get inside the Progressions program. Visit our blog, check out Progressions feature coverage in the San Jose Mercury News and on the NBC Bay Area Nightly News, or view photos and videos of the program in action. Progressions cares deeply about the quality, accessibility and cultural relevance of the services we offer our students and their families. We rely on a combination of quantitative and qualitative data points to continuously evaluate our effectiveness and make real-time changes as needed. Our goal? To offer programming that simultaneously responds to the specific needs of our community AND reflects best practices in youth development, music education and out-of-school-time programming. Activities: Amount of direct service delivered to youth and their families. Outputs – A Measure of Efficiency: The hourly cost of services. Customer Satisfaction – A Measure of Effectiveness. Service Productivity/Initial Outcomes – A Measure of Change for the Better. Service Quality, Reliability, Service Performance Index: The Service Performance Index (SPI) assists organizations with improving performance by using an integrated approach. The SPI is derived from 20 data variables and is similar to the Academic Performance Index (API) score. In addition, we enjoy a strong district-level partnership that affords us access to student academic, behavioral and social data. This data enables us to track the academic progress of Progressions students over time, do careful analysis, spot trends and work more effectively with classroom teachers and administrators to ensure we are offering appropriate support services, especially to struggling students who require additional supports to succeed. Results of the most recent independent, third-party evaluation (for 2014-15) demonstrate that Progressions met all performance goals: the cost of services was efficient, services provided were effective, and service productivity scores were high. 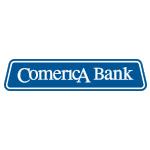 We value our partners and believe they are the key to our long-term success. 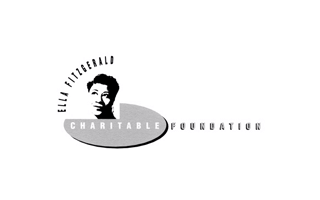 We need financial support from donors both big and small to sustain our work with the children. Donate to Progressions online now. We accept any instrument in all conditions. We are especially in need of used trombones, clarinets, bass clarinets, french horns (in F), 3/4 size baritones, full size baritones, tubas, bell kits, orff Instruments (Xylophones, Glockenspiels, Marimbas), and instrument cases. To donate, email Tom Langan at toml@sanjosejazz.org, or drop off your donated instrument at the San Jose Jazz offices at 38 W Santa Clara St, San Jose, CA 95113. We are open Monday–Friday, 9am–4pm. We always need musicians, mentors, tutors, technology gurus, social media/crowdfunding experts, Progressions evangelists and more to have more impact in the community. Learn more. Musicians: Sit-in on weekly instrumental sectionals and Saturday Nucleo rehearsals and to provide one-on-one lessons to students who are excelling or need an extra push. Mentors/Tutors: Work as academic tutors and life coaches. Research indicates the presence of adult mentors is among the most powerful predictors of success among youth today. Technology Gurus: Work with Progressions staff to 1) incorporate music technology in the classroom and at home as relevant and 2) develop efficient and effective systems for information management and day-to-day operations. Social Media/Crowdfunding Experts: Help spread the word to new audiences about how Progressions is changing lives and raise additional funds to sustain/grow the program. Progressions Evangelists: Help Progressions staff get an audience with key regional stakeholders who believe in our model and have resources to help us innovate. Contact Hugo Garcia, Progressions Program Manager, at hugog@sanjosejazz.org or 408 713-6366 to further discuss opportunities. We are hiring for the 2018-19 academic year. Click here for details. Progressions is generously supported by B.E.S.T. 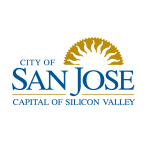 – Mayor’s Gang Prevention Task Force, Leo M. Shortino Family Foundation, City of San Jose Safe Summer Initiative Grants (SSIG), California Arts Council, The Ella Fitzgerald Charitable Foundation, Comerica Bank and individual donors.